Yukon Nominee Program presents favorable options for migration to Canada. It is meant for trained and experienced workers who possess requisite skills suiting the existing local labor market. 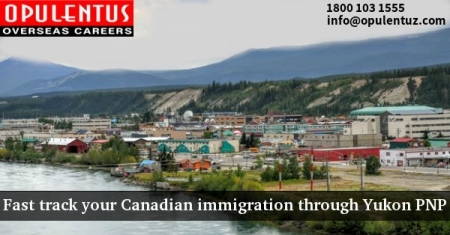 It is a boon through its nomination for Canada PR Visa, allowing working and settling in the Province of Yukon. This program is aligned with the federal Express entry system. Immigrant applicants who are in the express entry pool and are skilled workers are eligible for this program. They must possess a valid offer for a job from an employer in Yukon and intend to work and settle on a permanent basis in the province. The job is supposed to have a classification of 0 Skill type or should be at A/B skill level in NOC. The Applicants must have a valid job offer from an eligible Yukon based employer. The job needs to figure in an unskilled/semi-skilled occupation which has a high demand in the province. The Applicants must possess established skills required in business. They must be ready to work and own business located in the province. Applicants must make a major investment in the business located in the province.